When you have children, you want to do everything you can to protect them. When your child becomes sick or injured, it can be scary. Aspirus offers a full-spectrum of inpatient and outpatient care for our pediatric patients to help you care for your child’s health and well-being from the time they are babies until they are teens. We offer inpatient and outpatient children's health, or pediatric services, performed by family physicians, pediatricians and specialists at many of our hospitals and clinics. 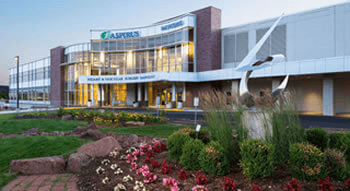 Aspirus Wausau Hospital also features a Newborn Intensive Care Unit for premature and critically-ill newborns, as well as a 32-bed unit dedicated to pediatric care that cares for patients throughout north central Wisconsin and Michigan's Upper Peninsula. We also provide education and resources about children’s safety, injury prevention and other initiatives through our partnership with Safe Kids Wausau Area and our Aspirus Children’s Safety Center, which sells reduced-rate children’s safety items in Medford and Wausau.